EXCLUSIVE INSIDER INFORMATION: HOW TO SCORE AN INTERVIEW AND GET YOUR RESUME NOTICED! If you’re looking for a job, you’re well aware that the competition is fierce. With so many applicants competing for a single job, standing out from the crowd is a daunting task. You may be the most qualified, best educated, highly trained, hardest working people-person to ever apply for the position. But if you don’t catch the eye of the hiring manager, he or she may never know what a fantastic employee you would be. Express surveyed nearly 400 businesses to help you learn how applicants secure job interviews, some of the cleverest ways job seekers submit applications, and why some applicants do not get interviews. Read on for insider information that just may give you the winning edge in your job search. Hiring decision makers in our survey were asked, “What are the best ways for an applicant to get a job interview with your company?” Overwhelmingly, the top response was simply, “applying and submitting a resume” offered by 23% of respondents. Another 12% said a referral was the top way to secure an interview. “Apply online” was the third most popular method recommended by our experts with 10%. Finally, 8% of respondents recommend making a phone call. In past articles, we’ve shared tips on how to make your resume stand out from the crowd. But some job applicants take things a step further. 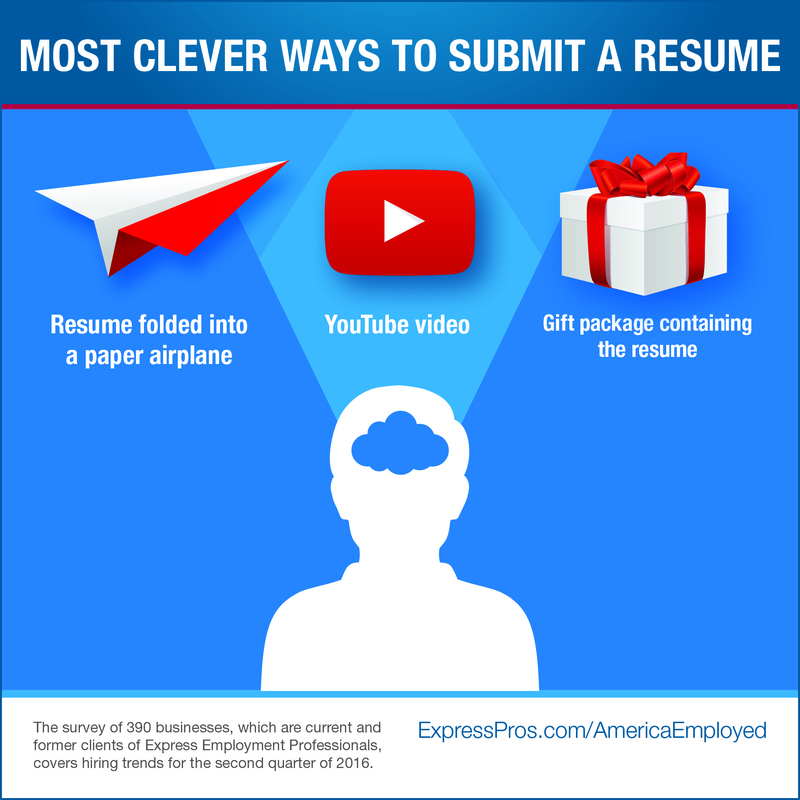 We asked our business leaders to describe a clever way in which someone submitted a resume. Here’s a list of the most memorable and creative. Other respondents mentioned an applicant walking in as a customer before revealing their interest in a job. Another manager received a call recommending someone for the job—only to find out the caller was recommending herself. On the flip side, survey respondents were asked, “What are the main reasons an applicant does not get a job interview with your company?” “Lack of experience” topped the list at 16%, followed closely by “lack of skills/qualifications” at 15%. If your sights are set on a particular job or career path, explore ways to get the training necessary to be considered a qualified applicant. Do some research to find out what it will take to get where you want to be and investigate entry level jobs that are good stepping stones on your career path. You may not be where you’d like to be today, but with effort and determination, you will get there! Have you ever tried a unique way to get an interview or get your resume noticed? How did it go?